As I begin to write this, I still feel I have a slippery kind of grasp on what this novel, ‘Fire on the Mountain’ by Jean McNeil, is about. On the surface it is about young men, becoming lost – geographically and emotionally. It is also about the influence or aura of influential writers. It is about loneliness, need – rather than desire – and rejection. These themes operate on a number of different levels that McNeil allows the reader freedom to float between – not impeded by plot or chronology. At the deepest level, it is a story about a clash between belonging and destiny. Like the inevitable forest fire the novel depicts, the book is both awe inspiring and chaotic. McNeil inducts you into the novel in a dreamlike way. She conveys the heat and strangeness of the place but also enough landscape description to make it quickly familiar. Protagonist Nick has been brought to this undefined African nation by a work mission he has recently abandoned in favour of staying with Pieter and Sara Lisson. Without knowing the root cause of his mental and physical instability, readers can understand why Nick faints often or feels unwell because the first few chapters are simmering with tension. We want to know what the Lissons are not saying and what Nick has done that has disgraced him to his employers. These questions are never answered in the kind of detail that would relieve the tension. McNeil drips in revelations one tiny piece at a time, in a way that is both skilful and subtle. It is intensely captivating, but also means the early part of the book creates a suspense and promises secrets that it never fully delivers on. This suspense, in addition to the strange mix of past and present tenses, and the shift at times from third person to first person perspective, serve to create a novel that wrong-foots a reader. You’re not quite sure what angle you’re viewing the situation from and there is a creeping sense of the unreliable narrator but this is never confirmed. Nevertheless, like all of the Lisson family in the novel, the reader feels a compelling urge to trust and listen to Nick as he is awakened by a landscape he has just discovered. The profound emotional bond that develops between Nick and the Lisson’s son Riaan seems intensely connected to the landscapes of the novel. It feels wrong to call their liaison a relationship as this somehow defines it as romantic, or that it only becomes a relationship when it develops a sexual element. Neither of these is true. McNeil artfully pens a blossoming connection between two characters that is not the overused story of discovering unforeseen romantic love. Neither is the relationship written as the, less often related, experience of finding unexpected sexual desire. Despite the synonymous titles, this novel is no ‘Brokeback Mountain’. Both Nick and Riaan are well-rounded characters, so fully formed in their independence and nuances of behaviour that readers will struggle to see instances of their developing connection – even though it is hinted at in the blurb. Nick’s flashbacks of his previous life, and later even a glimpse into Riaan’s past, build such indestructible characters that their bond seems the immutable, forever kind – whilst barely even mentioning the word love until page 233 of 252. This is the sort of characterisation that novels about love need. These are the type of ‘people’, for they transcend the label ‘character’, who do not fall in love. The people for whom it happens slowly and deliberately – if unexpectedly and regardless of gender – are underrepresented in fiction. McNeil’s talent for characterisation is so strong that even the land becomes a character in this novel. The land, and the nation, distinctly separate entities, have a philosophy and an unspoken political history. McNeil uses phrases such as ‘drastic loneliness’ and ‘hard paradise’ to describe the geographical features. She imbues the landscape with emotion and it becomes philosophically charged: ‘it felt less real than imaginary […] created from an idea only to be later abandoned, a place of rumour and exile’. Despite this sentiment, Nick’s life is so full of ghosts – even of people who have not yet died, such as his parents – that the land becomes more real to him than any of these individuals. Readers who have never before desired to go to anywhere in Africa will find themselves on the verge of booking a plane ticket as McNeil describes the luscious vegetation, powerful animals and dangerous yet alluring locations the characters traverse. Looking at the stars could be taken as an example of the most romantic cliché, but this novel makes it a new adventure as Nick sees stars in a hemisphere he has been in before, but never had time to look up at. An element of the novel that cannot be overlooked is the intervening viewpoint of Pieter Lisson, characterised immediately as a somehow seductive, famous writer who is ‘tired of writing’. Readers are led to wonder how autobiographical his emotional life is, when McNeil gives him sentiments that surely depict her own feelings about writing. When protagonist Nick thinks: ‘This landscape makes me think more sharply, almost as if it has given me a new mind.’ McNeil writes, through Pieter, ‘Mountains make weather… They rinse and clarify, like language.’ The power of language and the power of Pieter, who wields language successfully, are undercurrents throughout the novel. Nick is simultaneously comforted and betrayed by Pieter’s novels and Riaan voices that ‘all writers are pathological liars’. Excerpts from Pieter’s novel Mercy Street are dispersed throughout as heavy symbols of the themes in this novel ‘Fire on the Mountain’. As such, a reader could feel like they are learning too much of the writer’s process, of McNeil herself, and when it becomes clear that Pieter is writing a book of the same name, the whole thing risks becoming confusingly meta. Readers who are also writers will, however, be fascinated by this extra strand of leitmotif. In summary, if you’ll forgive the pun, this novel is a slow-burner. It engages readers with a dynamic and innovative intensity, complex characters and beautifully haunting description. Half way through the novel many of the questions from the simmering first chapters remain unanswered, and the protagonist and ‘love interest’ (for serious want of a better phrase) have only just begun their first time truly alone together. The intellectual interjections of the ‘renowned writer’ and the novels within the novel feel like the actual author is being critical of other writers, as well as herself. Despite all this ‘Fire on the Mountain’ is a literal melting pot of philosophy and raw emotion. It is simultaneously a gripping read and an ambitious and interesting experiment by an experienced writer. Through the mouthpiece of Pieter Lisson, McNeil describes novels as ‘slim bars of bitter chocolate’. This is given by Pieter as a self-deprecation in the context of admonishment by an editor. But perhaps McNeil knows that some readers love dark chocolate with the same passionate need as lonely young men need hope in an African desert. Beginning as a poet at a young age, Sian Hughes attended York University to study English Literature, then Leeds – for an MA in ‘Writing for Performance and Publication’ she now lives and writes in London. She currently markets TIE (theatre in education) shows and drama workshops for children – as well as writing a novel rooted in a similar storytelling tradition. Much of her work revolves around connection to landscape, particularly that of the Northern British Isles, and the displacement or loneliness of rural, isolated people. Jean McNeil is the author of thirteen books, including six novels and a collection of short fiction, a collection of poetry, a travel guide and literary essays. 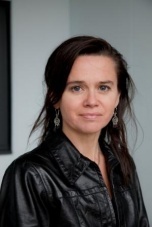 Her work has been shortlisted for the Governor-General’s Award for fiction and the Journey Prize for short fiction (Canada). In 2016 Ice Diaries: an Antarctic Memoir, which The New York Times has called 'stunningly written', won the Grand Prize at the Banff Mountain Film Festival Book Competition. A novel, The Dhow House, was published by Legend Press in the UK in September 2016 and by ECW Press in Canada and the US in 2017. 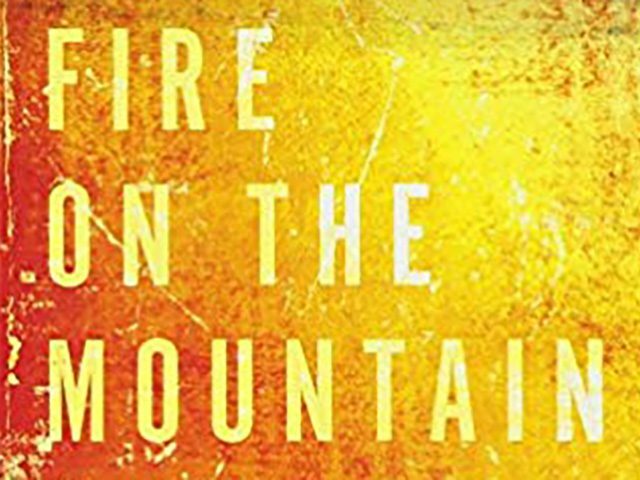 Fire on the Mountain was published in the UK with Legend in February 2018. Jean is a Reader in Creative Writing and co-director of the Postgraduate research programme at the University of East Anglia.